The New York Committee for Occupational Safety and Health (NYCOSH) released a study entitled “Deadly Skyline” in early 2017 that has found disturbing evidence of employer safety violations that lead to worker deaths. The Committee found that construction deaths are increasing, non-union construction sites are more dangerous than union sites, Latino workers face higher fall risks because of willful employer safety and health violations, and employers that violate safety laws cause fatalities. 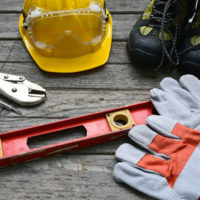 The Committee, construction workers, and unions are calling for more employee training, apprenticeship safety programs for large projects, preservation of the Scaffold Safety Law and creation of additional laws, creation of more enforcement for employers, and creation of criminal penalties for employers who show willful negligence that leads to worker deaths. In fact, the study found that 68 percent of construction sites analyzed had violated safety laws. Unfortunately, not all of these demands will likely be met, due to the cost it would put on businesses. While New York Mayor Bill de Blasio believes that more training and apprenticeship programs would cost employers too much, some of the other steps may be taken to create a safer workplace and cut back on preventable construction fatalities, according to EHS Today. In the meantime, it is at least possible for employees to seek workers’ compensation benefits after an occupational injury or illness. If you have suffered a construction site occupational fall or any other type of injury in White Plains, it is imperative that you contact a workers’ compensation attorney at once. Similarly, if a loved one died on the job, you or their dependents may be entitled to death benefits. Contact the Law Office of Michael Lawrence Varon today.